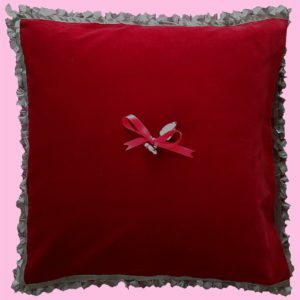 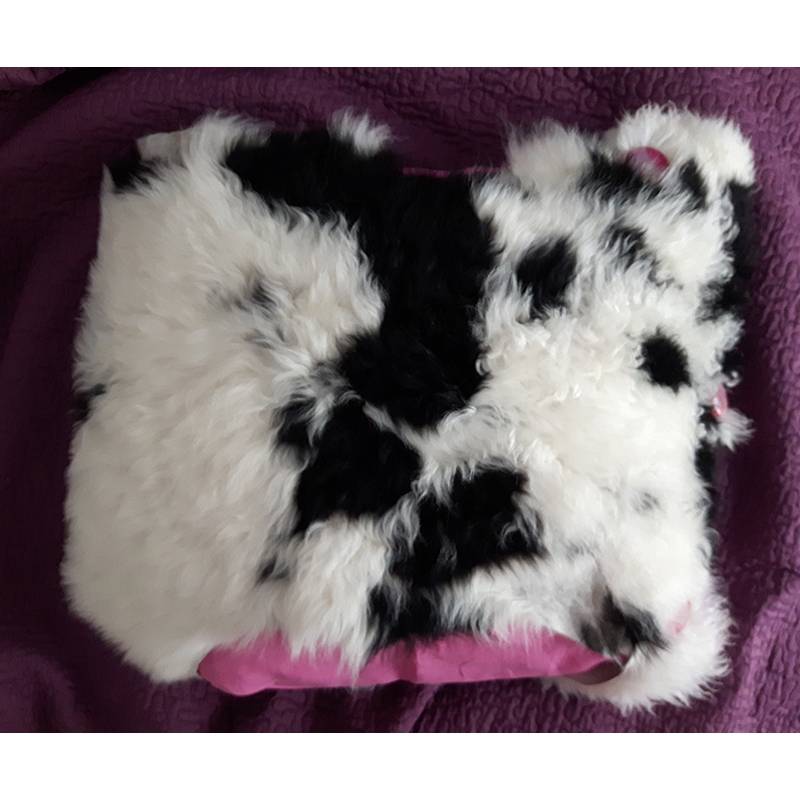 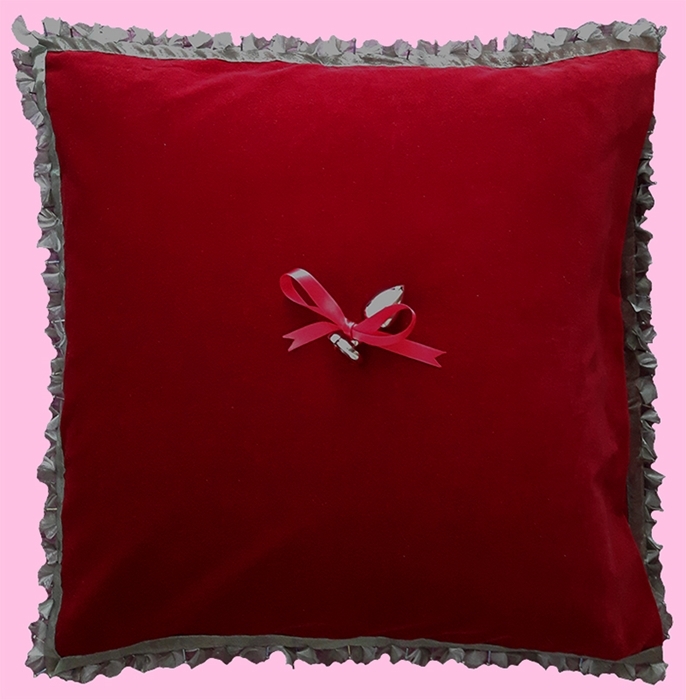 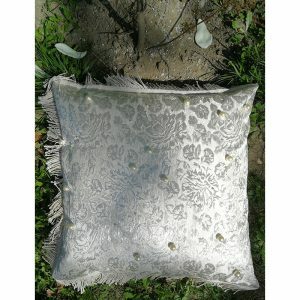 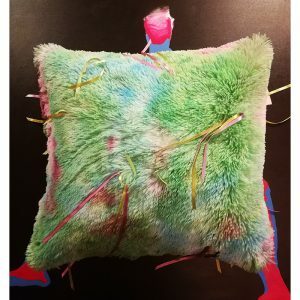 Decorative, luxury pillowcase for your interior. 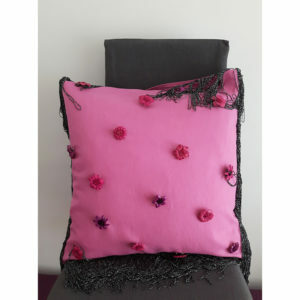 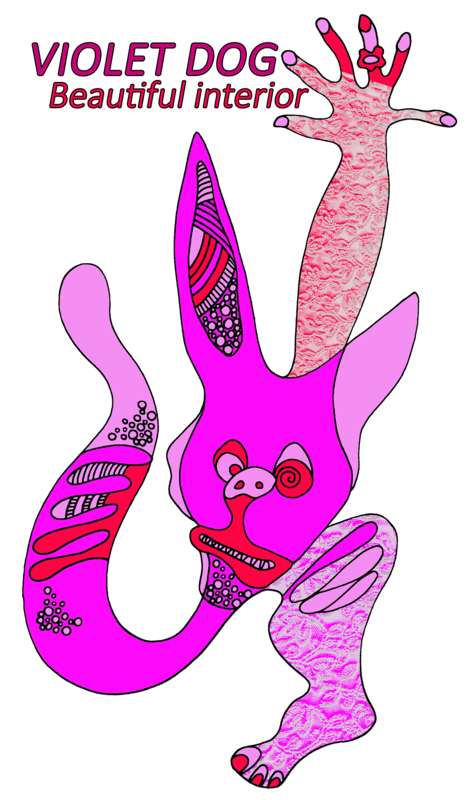 Size: 57 x 57 cm. 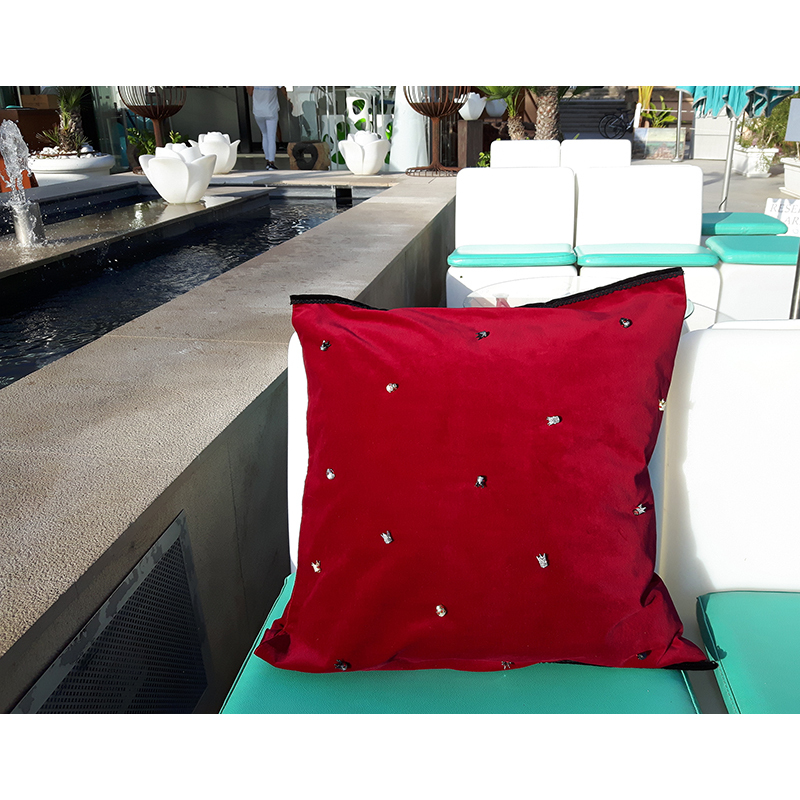 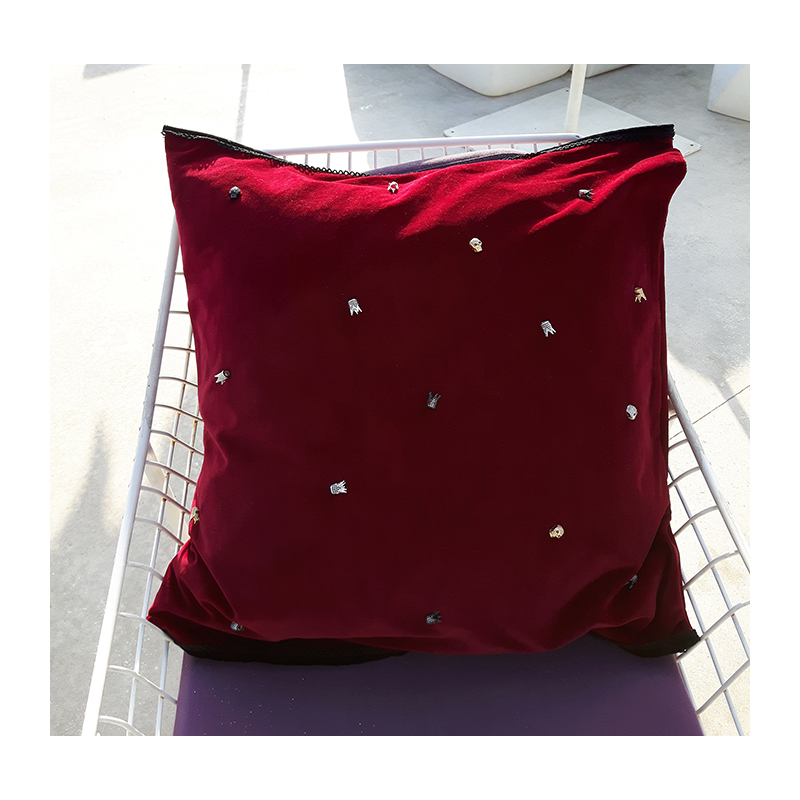 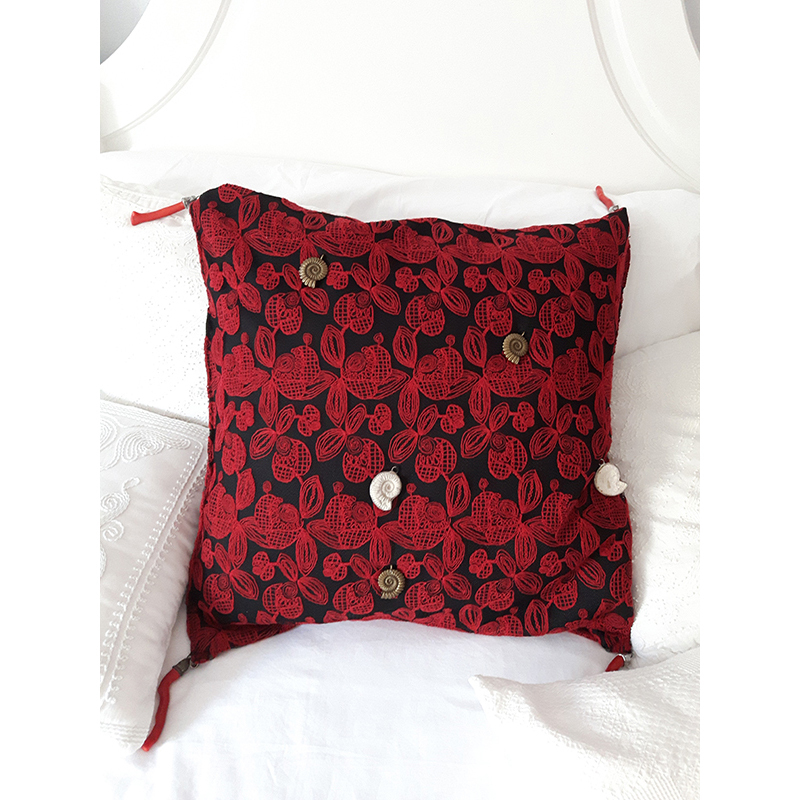 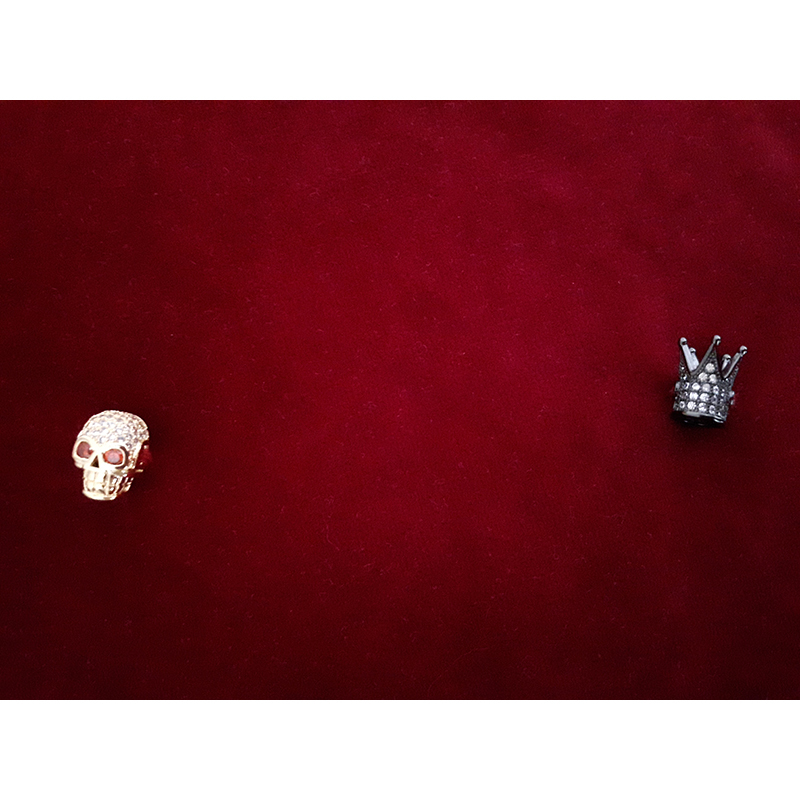 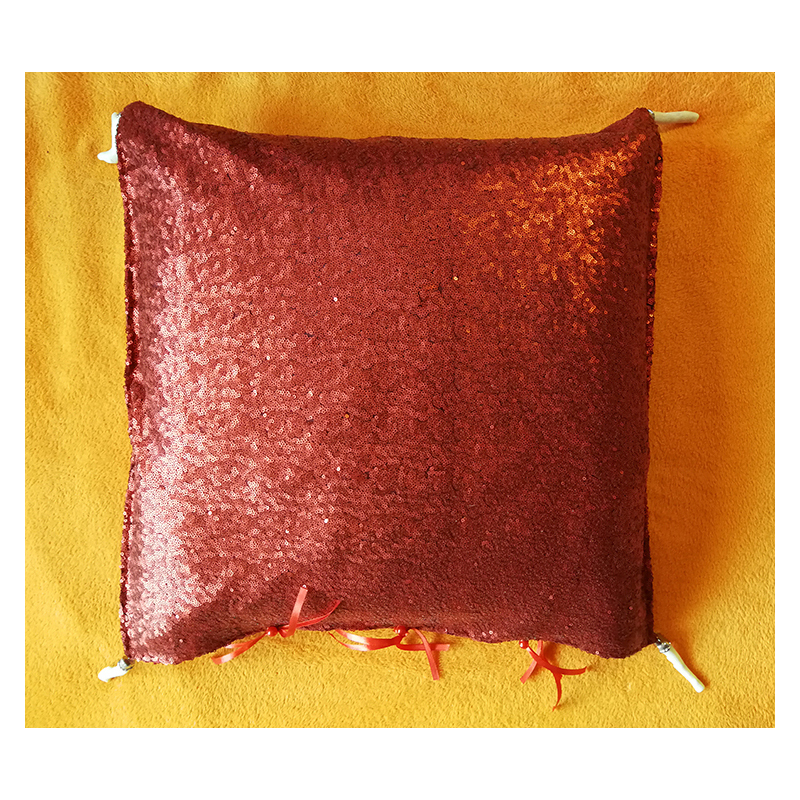 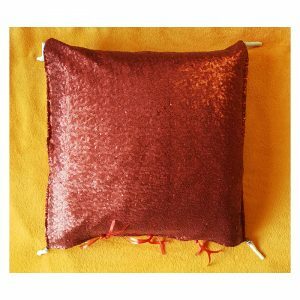 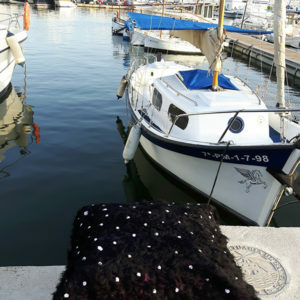 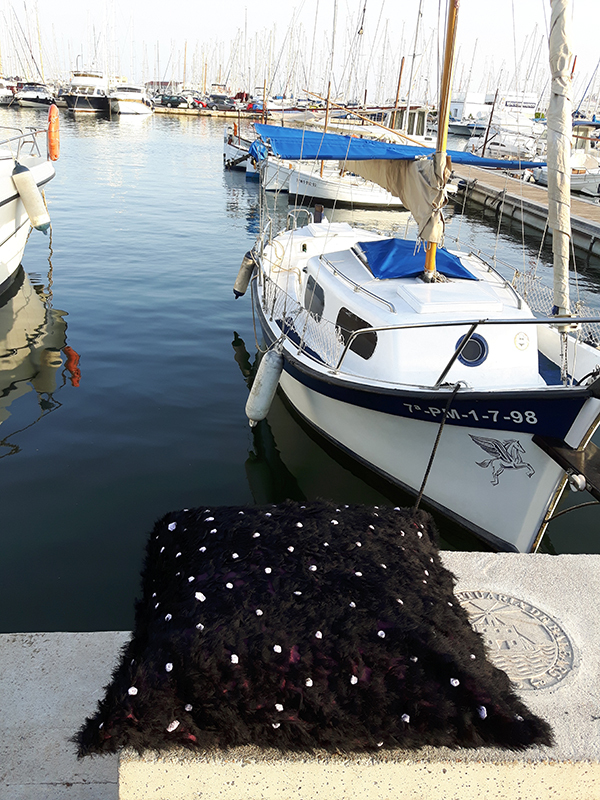 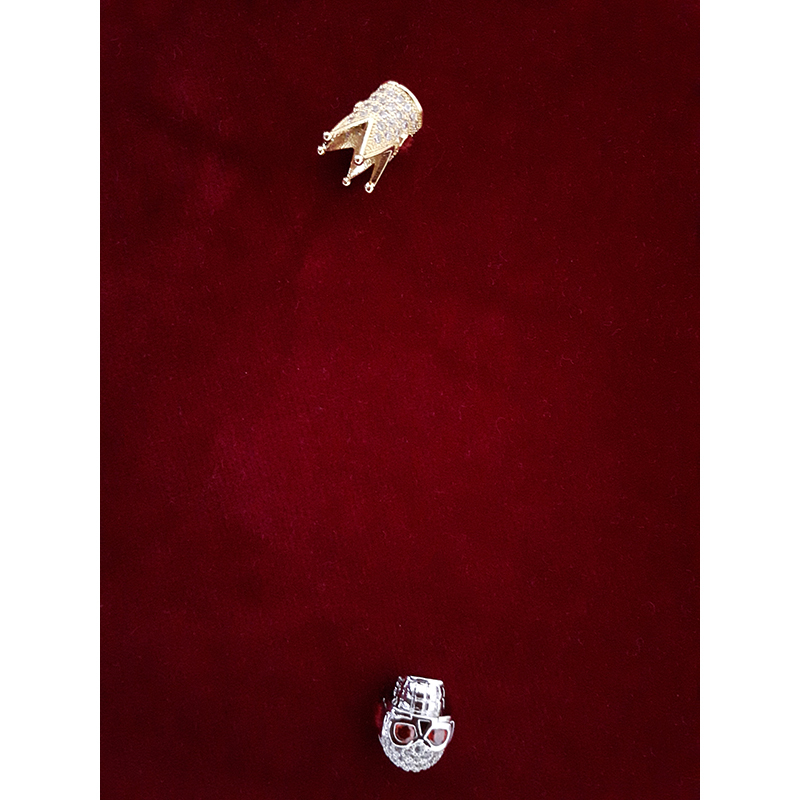 Decorative cushion cover, decorated on two sides: Dark red velvet, with metal decorative skulls and crowns in silver, gold and graphite color with colored crystals.